I have an evil man-eating gnome in the story I just finished. 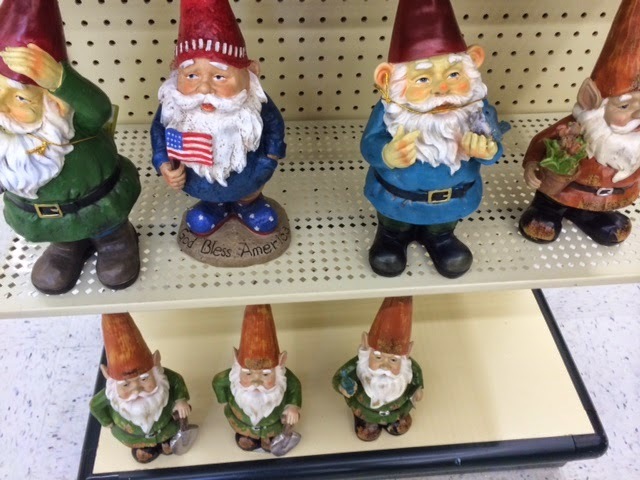 Hobby Lobby had a gnome display so a snapped a picture of them. They look kind of demented. The bottom ones were kind of plain. 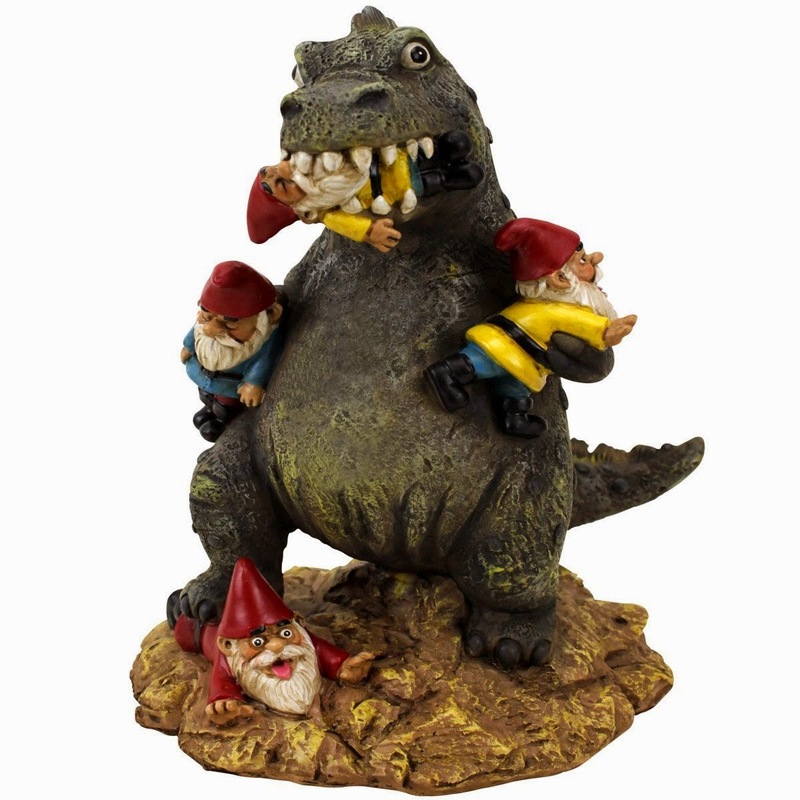 Amazon has a Dinosaur eating gnomes statue. They also have loads of zombie gnomes. For some reason the zombie gnomes aren't as creepy to me. Do you have any gnomes in your yard? I don't keep Gnomes in my yard. I keep Fairies, and somehow the Gnome thing just never worked for me (Zombie Gnomes, I don't think so). 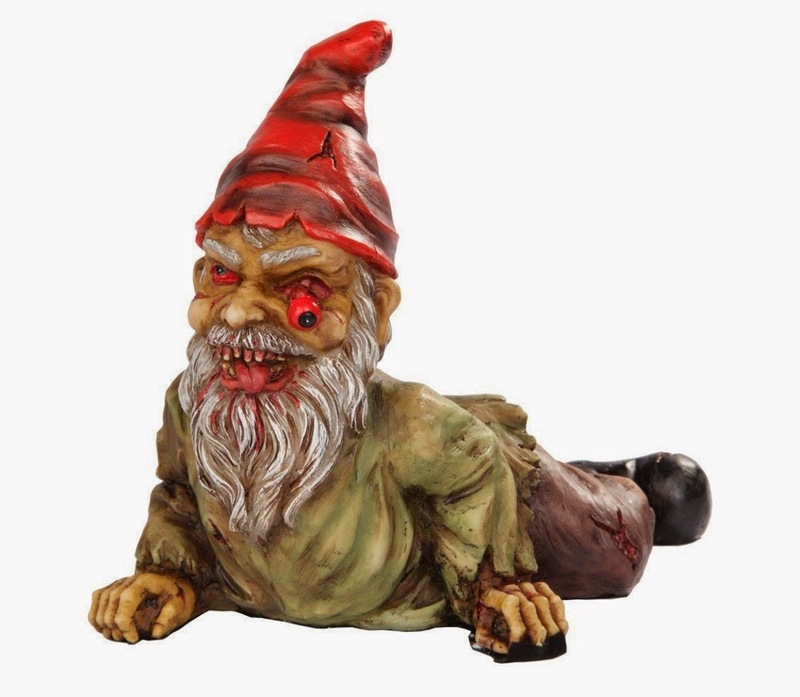 Bonnie, after everyone reads your story, I wonder how many Gnome Lovers will question keeping the little rascals around? LOL, I hope they never look at a gnome the same after reading it. I'm with you. I think clowns are on top with creepiness. I never liked them. Those are great pictures! No, I don't have gnomes, I think they are creepy. I do have a dragon though. He might like a gnome for a snack! Dragons are awesome. Such strong creatures. My boyfriend is getting a huge gargoyle for our front yard. They are suppose to protect your house. They are cool looking too. Thanks for commenting. I'd love to see a picture of your dragon. I bet Paula would too. She's totally into dragons.